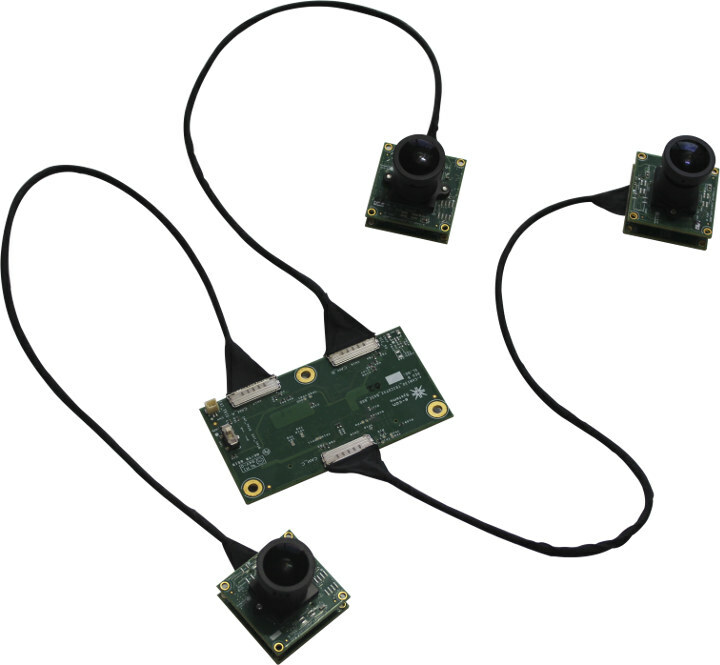 Last year, e-con Systems launched a 360° Camera Kit for NVIDIA Jetson TX1/TX2 boards that featured 6 cameras capable of recording or streaming 1080p30 each in real-time. The company is now back with a multi-camera system with “only” three cameras, but each can handle uncompressed video up to 4K UHD resolution at 30 fps. Meet e-CAM130_TRICUTX2 kit. 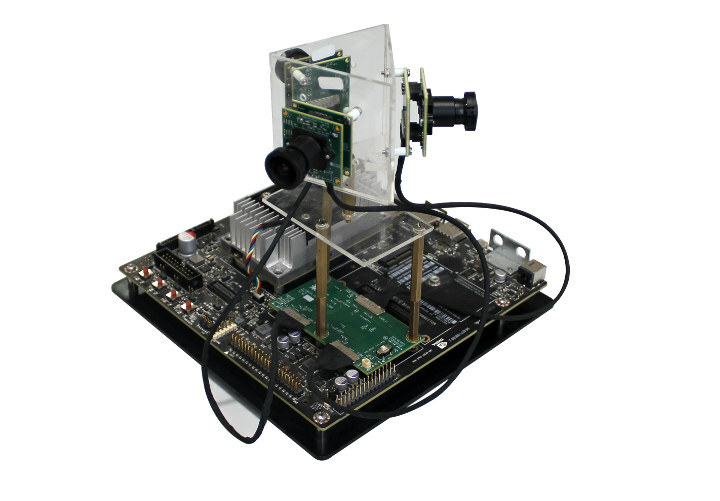 The company provides V4L2 Linux camera drivers for the MIPI CSI-2 camera module, as well as sample applications for image capture & preview (GUVCView + tricam app), and Gstreamer-1.0 support. The kit ships with the three camera, the baseboard, three micro USB cables, and an SD card with the Linux drivers and sample applications. Some of the potential applications for the kit include ADAS, 360-degree camera, 3D video recorder, agricultural application, drone, deep learning and so on. The e-CAM130_TRICUTX2 kit can be purchase now for $649 on the product page, where you’ll also find hardware and software documentation.